This generation understands all too well the need to start planning early and prudently for their own children's education. Some lessons fade over time, but this one won't: millennials don't want to see their kids end up in the same circumstances. Just like other generations, millennials want the best for their children, but they may not know the best way to reach this goal. More than older clients, millennials may tend to view their 401(k) plans as piggybanks. Some plan to tap their retirement accounts to fund a number of financial goals, including their children's education. 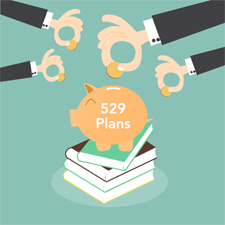 A 529 college savings plan, on the other hand, may be a particularly useful vehicle to help millennials reach their goals—perhaps more beneficial than a 401(k). For example, although there's no up-front federal income tax deduction, many states offer state tax incentives for 529 plan contributions. The big benefit, of course, is that the funds grow tax-deferred, and there's no tax on distributions if used for qualified higher education expenses. You can add value to your client relationship by helping them identify the proper savings vehicle for their situation. Grandparents can make a tax-free gift to a 529 account up to the annual gift tax exclusion amount of $14,000 for 2015 ($28,000 for a married couple) per account beneficiary. They can also take advantage of a tax election that allows them to spread large contributions equally over five years, up to $70,000 for 2015 ($140,000 for a married couple). Grandparents may be able to change the ownership on the account to the child's parent in the future, subject to any plan restrictions. Although repositioning assets for the FAFSA is important, it generally shouldn't be millennial clients' primary focus. The reality is that many parents' incomes will be too high for grants, and aid may take the form of loans subject to repayment. When it comes to millennials and education planning, it's best to take a holistic approach that addresses their specific financial situation. Men and women of this generation often have a number of planning needs, and getting a handle on their own debt—including student loans—may be the first order of business when they start working with an advisor. But, as their financial plan begins to take shape, they're likely to be keenly aware of the value of education planning. A 529 plan can be an excellent way for parents and grandparents to give the gift of a debt-free college education. Are you working with millennials who are saving for their children's college? What are some of the challenges you face? Please share below!